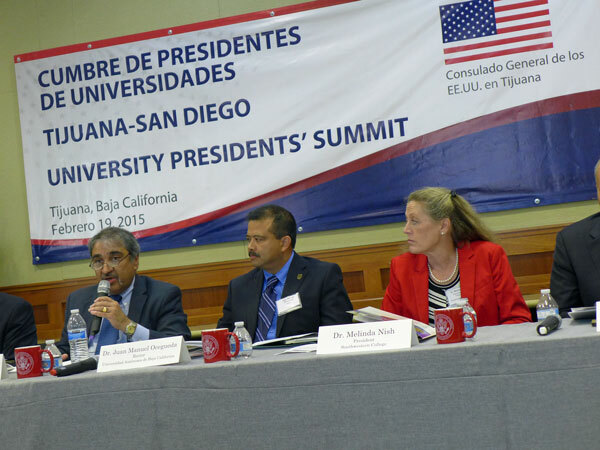 Chancellor Khosla joined leaders from more than a dozen U.S. and Mexican higher education institutions yesterday in Tijuana for the University Presidents’ Summit, where the launch of the CaliBaja Consortium for Higher Education was announced. The goal of the consortium is to increase cross-border education and to make our region a leader in student exchange by 2020. 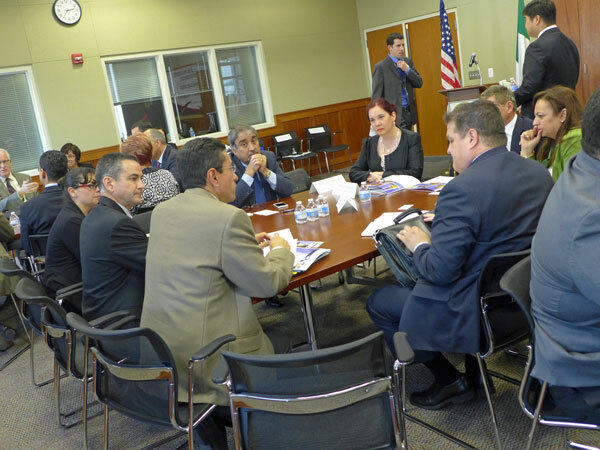 The higher education leaders discussed existing and potential bi-national collaborations, as well as ways to decrease barriers to student exchanges in the future. At the summit, the Chancellor talked about his ongoing commitment to expand college access and affordability for all deserving students, including Mexican students who are trying to enhance their academic records so they can attend U.S. research universities. 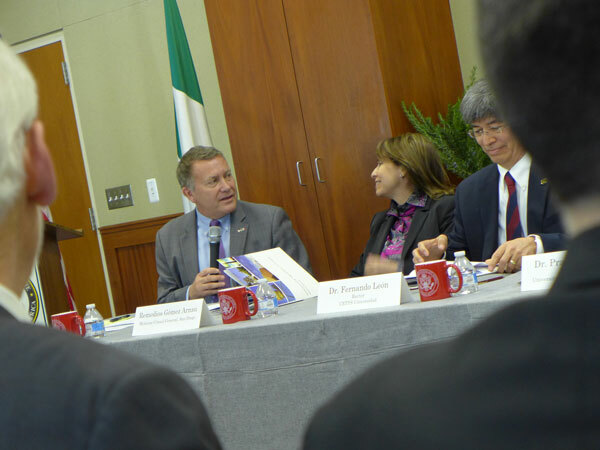 The event was hosted by the U.S. Consul General in Tijuana and the Mexican Consul General in San Diego. 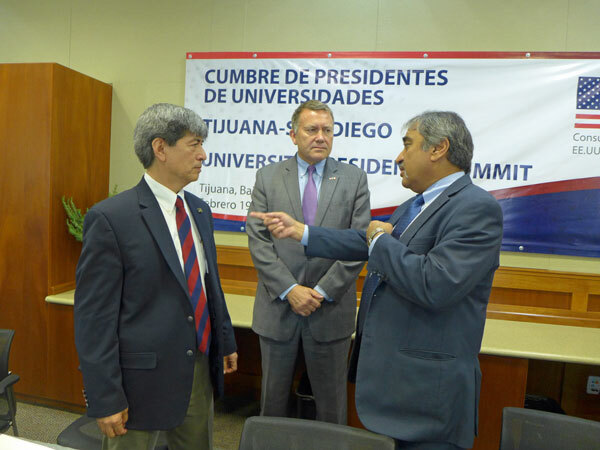 Chancellor Khosla and President Fernando León of CETYS Universidad discuss possible collaborations with U.S. Consul General in Tijuana, Andrew Erickson. 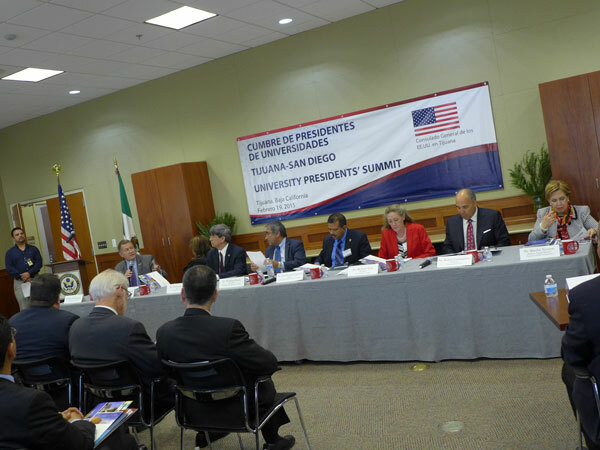 The University Presidents’ Summit was hosted by U.S. Consul General in Tijuana, Andrew Erickson, and the Mexican Consul General in San Diego, Remedios Gómez Arnau. Chancellor Khosla and UC San Diego Professor Olivia Graeve co-led a breakout session on how to increase the number of women pursuing STEM careers in the U.S. and Mexico.